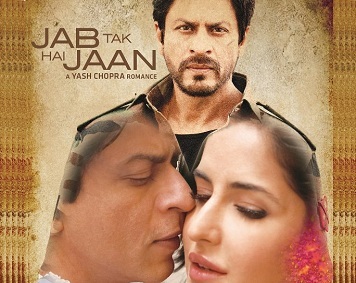 India's one of the Senior most directors, Yash Chopra again confirmed that 'Jab Tak Hai Jaan', his new flick will be last directorial movie. The director has confirmed it for third time after 'Dil To Pagal Hai', 'Veer-Zaara'. He also told media that to ensure audience safety he is not casting Uday Chopra as a special appearance in the movie. "Actually, I think this is my last movie," said Yash Chopra with his thundering voice, reflecting that sometimes he gets temptation to say he is done now and young generation should take over. He said in a candid interview with India Satire Correspondent "This is for first time I am feeling that I should now be retiring. Fu*k of these romantic movies, nothing happens in my life neither in my movies. All are boring, slow and literally stupid. Sometimes I consider myself as Mahesh Bhatt who makes same movies with title and cast change." While Correspondent recalled that Yash Chopra already announced his retirement at the time of his Dil To Pagal Hai and Veer-Zaara, great Director Yash Chopra said "Oh really! Did I say that? I don't recall. May be that time I might have made such statement, I am not sure. Ooo... This time I am sure that I may be retiring. But are you really sure that I had directed Dil To Pagal Hai? I recently watched that movie and abused the stupid director for making such disastrously idiotic film. But if I have directed that movie, then I will have to say that I have to bit improve myself. Some subtle aspects which could have pointed towards maturity of the script and audience's brain would have been replaced to great masala angle. In my next movie I will definitely try to overcome my issues." Besides discussing about future plans, Chopra also told about his movie's script and casting. He said "The movie is same old badass kind of goodie-goodie one. There will be same characters and same love story and same love triangle and same romance and same Shahrukh Khan. The thing is I really consider Shahrukh in my place. If he would have been somewhat better looking guy and if I was not bald, we both had similar features and a lot of resemblance. That made me casting him in front of lot of young and good looking girls. He has done great justice to my inner feelings, emotions and understanding of damn middle age and old age crisis." Talking about casting, Yash Chopra confirmed that Uday Chopra is not a part of this film ending all the rumours which created panic among the Chopra's loyal audience. "Though, I try to keep my audience immature and stupid, I am damn sure that it is not so immature and idiot to tolerate Uday Chopra in the movie. Even I can't see him acting. For safety of my audience, I have to avoid Uday Chopra even as a cameo. So my audience needs not to be worried," said Yash Chopra. 0 comments for "Yash Chopra again confirmed that ‘his next film will be his last movie’"